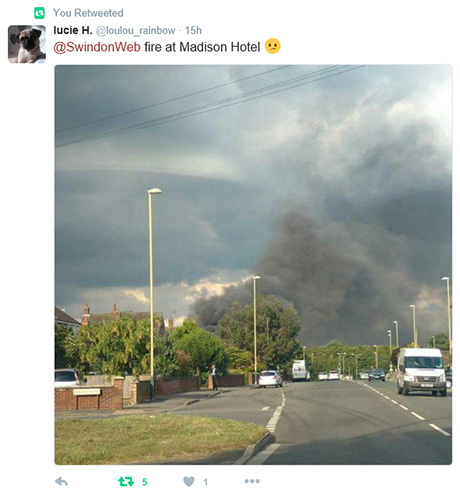 Parts of Swindon came to a complete standstill last night as fire ripped through the empty Madison Hotel on Oxford Road, near Toys 'R Us. 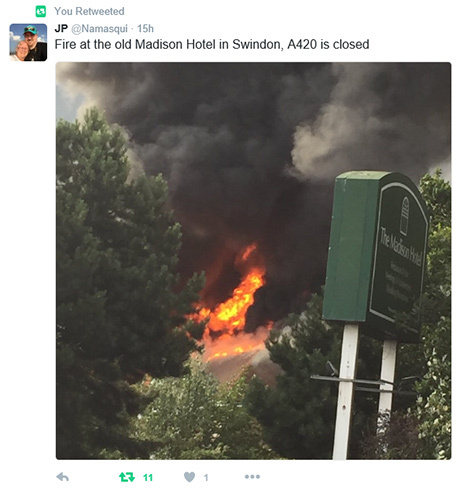 The alarm was raised shortly before 6pm, with fire crews from Dorset & Wiltshire Fire and Rescue service among the first to attend - with eyewitnesses soon posting pictures and video on social media (see below). 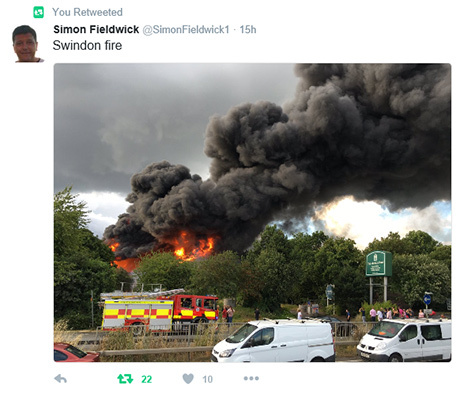 With the large plumes of smoke seriously impacting visibility on the nearby A420, the decision was made by Wiltshire Police to close the road, causing long tailbacks. 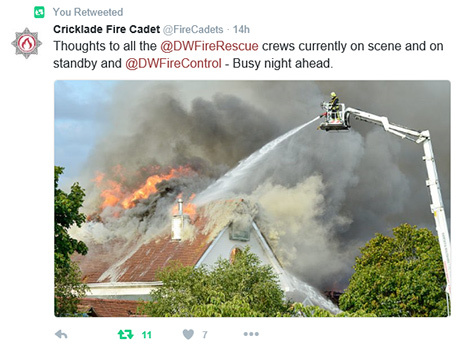 The fire was finally brought under control just after 9pm. 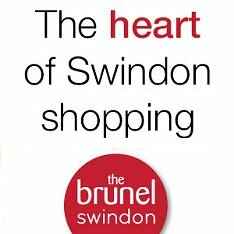 The Police have since arrested six teenagers in connection with the fire.